In This Corner (ITC) Boxing Fitness Centre was built on the belief that boxing training may be the single most effective way for anyone to get fit. For this reason, we provide programs to individuals at all levels of fitness. The company began in 2011 in Winnipeg, Manitoba, Canada and is owned and operated by Maureen Black. 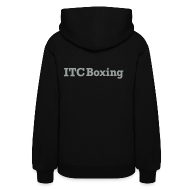 ITC is committed to bringing the superior fitness benefits of boxing training to a greater number and variety of people in southwest area of Winnipeg. Boxing training may be the single most effective way for anyone to get fit, as it incorporates muscular strength, endurance, speed, and coordination. Boxing training inspires confidence, determination, focus and patience. Fitness should always balance personal challenge and enjoyment. People at different fitness levels benefit from training together; allowing teaching and learning between members.